A lot of great pieces of real technology were inspired (or, at least, look like) pieces of technology from science fiction of the past. Like the smartphones of today have a surreal resemblance to the Star Trek communicators of the 60s, [Steve] took inspiration from a story about a bicycle racing in space and set out to make his own. In the story, the bicycle wheels are replaced by electrostatic generators that power a type of (fictional) ion drive. Since an ion drive wouldn’t add much thrust to a bicycle operated on the Earth, [Steve] used the electrostatic generator he built to create a sparking light show. The generator is called a Wimshurst machine and has two counter-rotating discs which collect charge. The charge is dissipated across a spark gap which is placed where the bike light would normally go. We don’t know if the sparks from the Wimshurst generator are enough for a proper headlight, but it’s definitely a cool effect. [Steve] also points out that it might also work as a bug zapper, but either way you should check out the video after the break to see it in action! While it’s not quite a tricorder it’s still a pretty impressive sci-fi-inspired build, and something that’s definitely unique in the bicycle realm. There’s quite a collection of these Wimshurst projects beginning to come together. 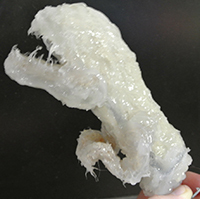 Here’s one made using a trio of soda bottles, and another example which used 3D printing. Notwithstanding [John Titor] and his time travelling ’67 Corvette convertible, the coolest time machine on wheels has to be the DeLorean from Back to the Future. BTTF is apparently a very popular theme for our sci-fi contest, with a lot of great entries. You mean to tell me you made a time machine? Out of a Hyundai Accent? After a careful bit of research, it appears the Hyundai Accent (GLS) has both a higher top speed and faster 0-60 time than a DeLorean, and that’s before the installation of time circuits, a flux capacitor, and plutonium reactor. [docbrownjr] and [Jennifer] decided their Accent was the perfect vehicle for a time machine conversion and decided to add a Mr. Fusion to the mix. Like the on-screen version, this version of a Mr. Fusion is made from a kitchen appliance. With the original Krups coffee grinder out of production, the team settled on an iced tea machine. There will, however, be copious amounts of dry ice involved, as will half-empty beer cans and banana peels. 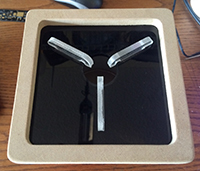 After knocking his head on a toilet, [Beamsjr] came up with a great idea – a networked flux capacitor, able to display the Teamcity build progress. Honestly, we’d be a bit disappointed if this contest didn’t have a BTTF time circuit build entry. Luckily for us, [atheros] and [bwa] are on top of things with their time circuit clock, complete with an alarm and FM radio receiver (FM isn’t going to work in 1955, guys). 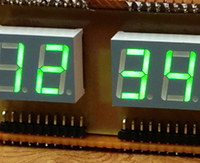 Unlike a few other time circuit builds we’ve seen over the years, the guys are doing this one up right, with 14-segment LEDs for the month display. They’re etching their own boards for this one, and it’s looking like it’ll be a very cool project when it’s complete. Back when Iron Man 2 and The Avengers were out in theaters, the Hackaday tip line couldn’t go a week without an arc reactor build being submitted. 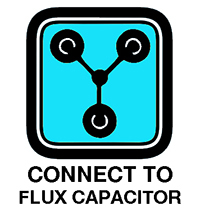 In keeping with the Internet’s fascination with blinkey glowey things, we expected a huge influx of arc reactors for our Sci-Fi contest. We were pleasantly surprised: all the submissions from the Marvel universe are top-notch, and the two Iron Man entries we have are simply amazing. 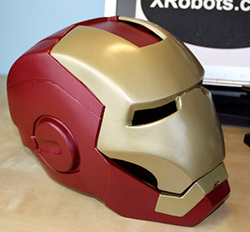 [James Bruton] is working on a replica of the Iron Man movie helmet, complete with a motorized face plate, light up eyes, and an OLED display for a reasonable facsimile of the horribly unrealistic on-screen heads-up display. While a few bits and bobs of the mechanics were 3D printed, [James] is making the majority of the helmet just as how the on-screen version was made. The helmet was first carved out of sheet foam, then molded and cast into very strong rigid fiberglass. [James] put up a great tutorial series on how he did this and other parts of his Iron Man costume. The other Iron Man costume from [jeromekelty] and [Greg Hatter] doesn’t stop at just the helmet. They’re doing everything: shoulder-mounted rocket pods, hip pods, forearm missiles, back flaps, and boots with a satisfying electronic kerthunk sounding with every step. 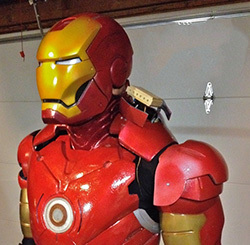 Inside the custom molded suit are at least four Arduinos, four XBees, an Adafruit WaveShield, and at least 20 servos for all of the Iron Man suit components. The mechanics are actuated via RFID with a tag in a glove; when the wearer waves their hand over some part of the suit, one of the mechanical features are activated. It’s impressive to say the least, and one of the best documented projects we’ve seen in the Sci-Fi contest. There’s still time to put together your own Sci-Fi project for the contest. Grab your soldering iron and fiberglass resin, because there’s some seriously great prizes up for grabs.